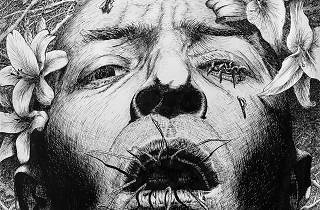 Explore one's inner fear and madness in Régis Gonzalez’s dramatic and intense ink works. 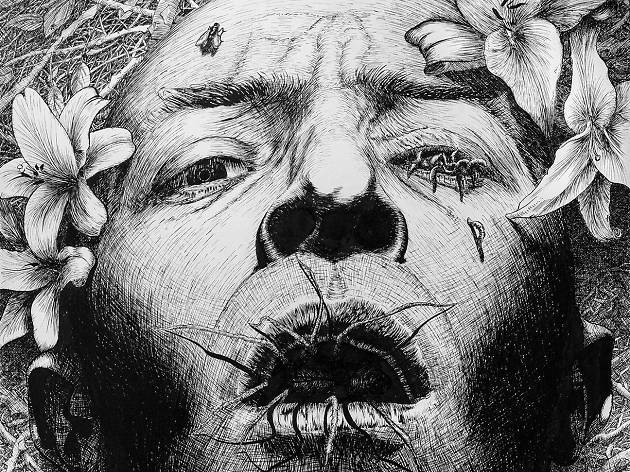 French visual artist Régis Gonzalez showcases his stunning and dramatic ink works as part of the annual cultural festival Le French May. Presenting 45 original pieces, Gonzalez’s drawings of self-portraits are intense and explores one's hidden madness and fear. Alongside his self portaits are a series of landscape works that are just as dramatic and in black-and-white, which examines how madness can be manifested in nature as well.